domestic goddess: bacon & egg stuffed avocados | just another digital diary. I have really been neglecting my inner domestic goddess! To be fair, I’ve been doing a lot of cooking and baking lately (I even made a delicious country bread from scratch last weekend—recipe to come!) but I’m horrible about taking pictures and recording the recipes for my blog. I’ll get better! But, I was over at a friend’s place the other night and we decided to make a little snack and try out a recipe we’d found on Pinterest (where else? 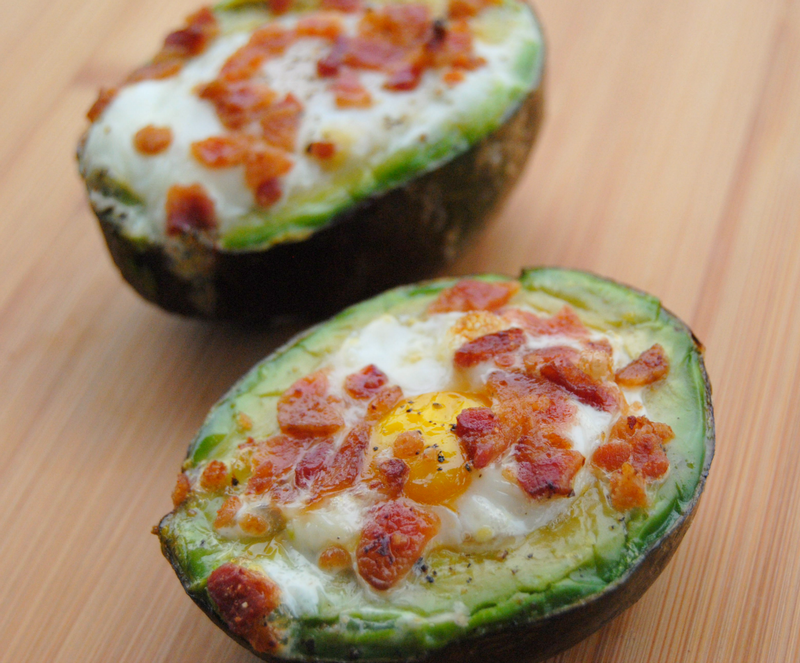 ): bacon and egg stuffed avocados. The “stuffed avocados” craze is in full swing right now and I couldn’t be more on board. Everything tastes better with avocado! Definitely not just for guacamole. 1. Cut the avocado in half and remove the pit. 3. Crack the egg into the hole you’ve carved out in your avocado. 4. While you’re scooping out the avocado, you should also be cooking up a few strips of bacon. Fry or bake until almost crispy, but be careful not to overcook upfront, otherwise the bacon will burn when you bake the avocados. 5. When your bacon is ready, cut it into small pieces and scatter them over the egg. 6. Season with a little salt and pepper and some red chili flakes if desired. This is a really fun thing to serve for brunch, or just a great high-protein snack—and it’s super quick. Enjoy! YUM!!! These look amazing! I really need to try it. Your pictures are great too! !